Who made a living out of death? Where can you check your dactylogram? Why are denim jeans called denim jeans? What causes you to be dentiloquent and when would you be dudevorced? Plus, find out what causes destinesia and another letter to help boost your Scrabble and Words with Friends game. 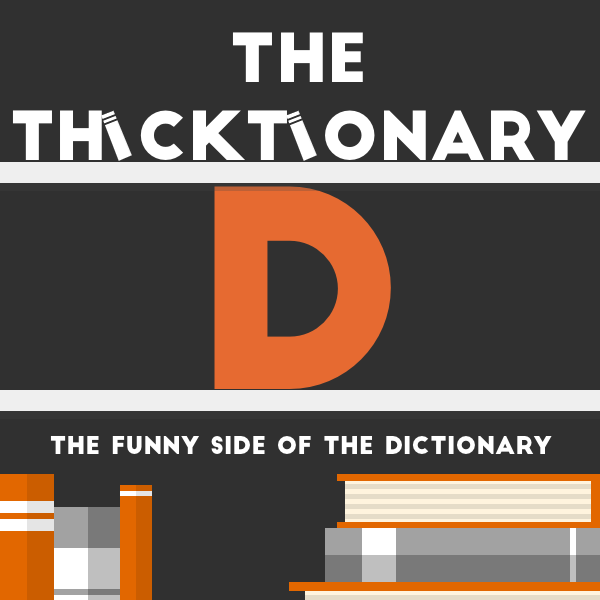 Hear the funny side of the dictionary in The Thicktionary.